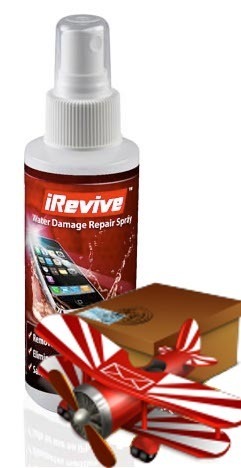 This video walks you through the process to fix a water damaged Samsung Galaxy Note 3 with iRevive spray. There are 2 water damage sensors located on the Samsung Galaxy Note 3. One is shown in the first picture above and is only visible from the inside of the midframe. 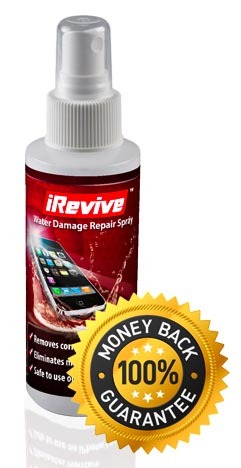 When a water damage indicator is exposed to water or a high level of moisture (sweat) it will turn from white to red. A red sensor indicates the warranty on your phone is void and will no longer be covered under manufacture warranty. With the phone powered off, remove the back from the Galaxy Note 3 by using a pry tool or finger nail in the indention on the top left side. Remove the Battery, Memory card, Sim Card and Stylus. Take out the 12 screws around the perimeter of the phone with the phillips screw driver. Using the flat head or pry tool work your way around the outside edge to release the back midrame. Unsnap/Disconnect with your pry tool: Charing port, Navigation keys, Stylus flex, Forward facing camera / Proximity sensor, Headphone Jack, Lcd Connector and Antenna. Move all flex cables back and carefully remove the logic board. You should have no resistance when doing this. Flip the mother board to the back and using the pry tool lift off the back camera. Using the flat head screwdriver, carefully work your way around the two heat shields on the back of the mother/logic board and remove them. Covering the microphone start to srpay the iRevive around the logic board. Carefully scrub gently with the brush. This removes all of the corrosion on the board. It's very important to clean on all sides of all the chips on the board. Repeat this process on both sides of the board and be sure to keep the mic covered as you DO NOT want to get any iRevive on the microphone. Clean off all connectors on the front assembly of your phone. Let everything dry for at least 2 hours! Allowing 24 hours for your logic board to dry will give you the best results. Snap the heat shields back onto the motherboard. Reconnect the back camera onto the motherboard. Snap down all of the flex cables. Reinsert back midframe onto the phone. Reinsert the 12 phillip screws around the perimeter of the phone into the back midframe. Reinsert the sim card, memory card, battery and Stylus. Snap the back battery cover back on. You should hear it snap back into place.